Realtek HD Audio Manager is one of the most important ingredient or part of your Computer System specially for Windows 10, Windows 8, Windows 7 and other few versions of Windows Computers. It builds up a bridge in between your Audio Hardware i.e., Speakers or Headphones and your Computer and enables you to enjoy the Audio & Video inside Games or other playable files. If you are missing this important tool or drivers for it then you know the pain better. It will restrict you from Audio and Visual effects. So if your Computer System is Missing Realtek HD Audio Manager or Realtek Audio Drivers then this Guide is dedicated to you! You can carry on and Fix the Missing Drivers of Realtek HD Audio Manager or Fully Reinstall it. 1 What is Realtek HD Audio Manager? How to Download & Install Realtek HD Audio Manager Software in your Windows PC or Laptop, let it be Windows 10 or Windows 7? How to Update Realtek Audio Drivers? How to Fix Missing Realtek Audio Drivers? The Realtek HD Audio Manager is a tool to manage sound play on Windows 10 and other Windows Versions. Realtek High Definition Audio codecs are compliant with Microsoft’s UAA (Universal Audio Architecture). Realtek HD Audio Drivers communicate with the Windows operational systems, therefore, you’ll be able to hear music from your speakers. They translate information into audio signals that enable speakers to play audio outwardly. Versatile admixture, mute, and fine gain management functions give a whole integrated audio solution for home recreation PCs. 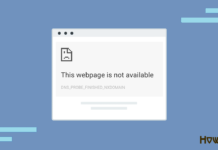 Step – 1: First of all, Click on the Button below as per your Windows System Version to Start Downloading Realtek HD Audio Manager Software. Step – 2: Complete the Download and Start the Installation. 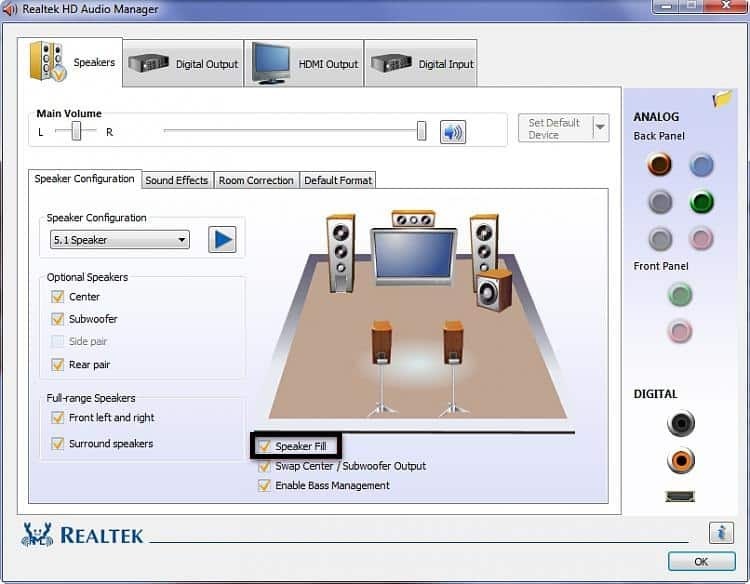 Step – 3: Configure the Settings of Realtek HD Audio Manager as per your Requirements and System Preference. Step – 4: That’s it. You have successfully Installed or Updated Realtek HD Audio Manager or it’s Drivers right from it’s official Software toolkit. 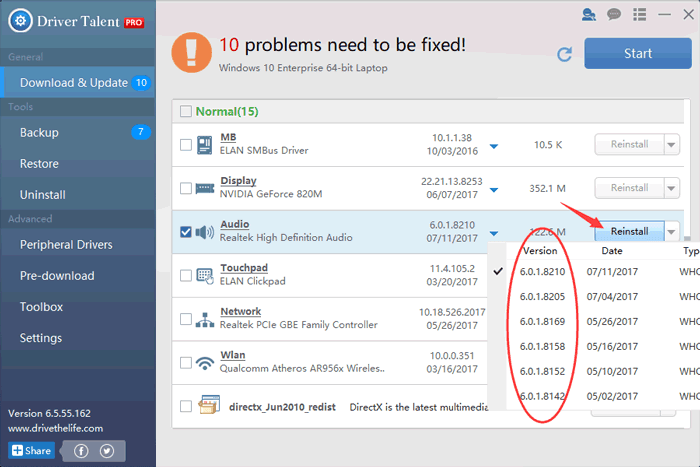 If you are facing any issues in Installing or if you are missing any Realtek Audio Drivers then follow the below guides to fix it. 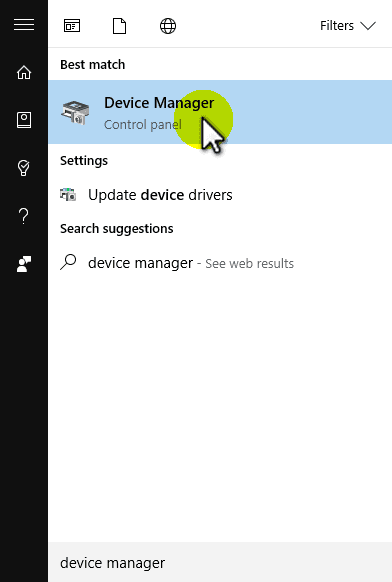 Step – 1: Press Windows Start Button and Search for “Device Manager” and Open it. Step – 2: Expand class “Sound, video and game controllers” and beneath this class, right-click on “Realtek High Definition Audio” and select “Update Driver Software…” option. Step – 3: Now a new window will pop-up with couple of options. Just click on “Search automatically for updated driver software” (Different system versions may get a different prompts). Step – 4: Windows will automatically start search for Latest Drivers for Realtek HD Audio. In case, if any new drivers are found then it will auto-install and configure them. 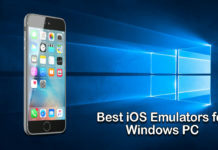 Else it will prompt “The best driver software for your device is already installed” in case of no updates for Audio Drivers. 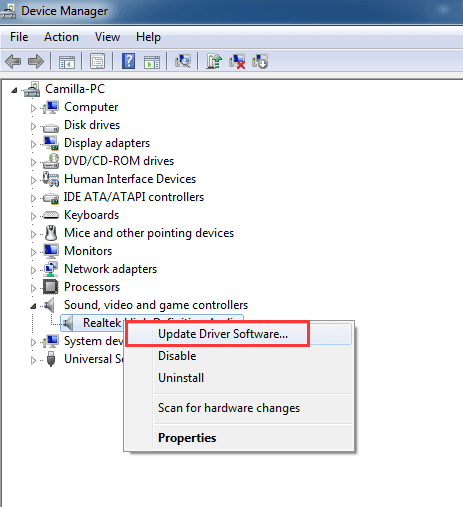 Step – 5: Once the drivers are updated successfully, restart the system to let the changes affect. TIP: In case, if you don’t find Realtek HD Audio Manager in Control Panel, browse to C:\Program Files\Realtek\Audio\HDA\RtkNGUI64.exe. & Double-click on the file to open Realtek HD Audio Manager. Ever after Installing or Updating Realtek Audio Drivers, if you don’t find Realtek Drivers or Realtek Audio Manager Working then you can try the given fixes. It may help you quickly solve the missing Realtek Audio Drivers or Manager and Start Enjoying the Audio. Step 1: Use shortcut keys Ctrl + Shift + Esc to open Task Manager. Step 2: Choose the Startup tab from top Menu. Step 3: If the Auto-Startup status of Realtek HD Audio Manager is Disabled, you’ll be able to Enable it by right-click on it and choose Enable. Once you enable then just restart the System. You will now notice the Realtek Audio Manager icon under the taskbar. If this methodology fails to unharness your pain caused by the missing Realtek HD Audio Manager, then follow the next fix. Incompatible, incorrectly organized or broken Realtek audio driver may also end in the Realtek HD Audio Driver Manager icon missing issue in addition as different sound-related issues, like no sound when Windows 10 update, Bluetooth speakers sound delay issue, static sound in headphones, etc. During this case, you’ll be able to use Driver Talent to set up the best-matched Realtek audio driver to create the Realtek High Definition Audio Manager accessible from the system receptacle. Driver Talent provides utterly completely different versions of official Realtek audio drivers. currently, choose the Realtek driver compatible in conjunction with your Windows 10 (64-bit or 32-bit) via the button below. 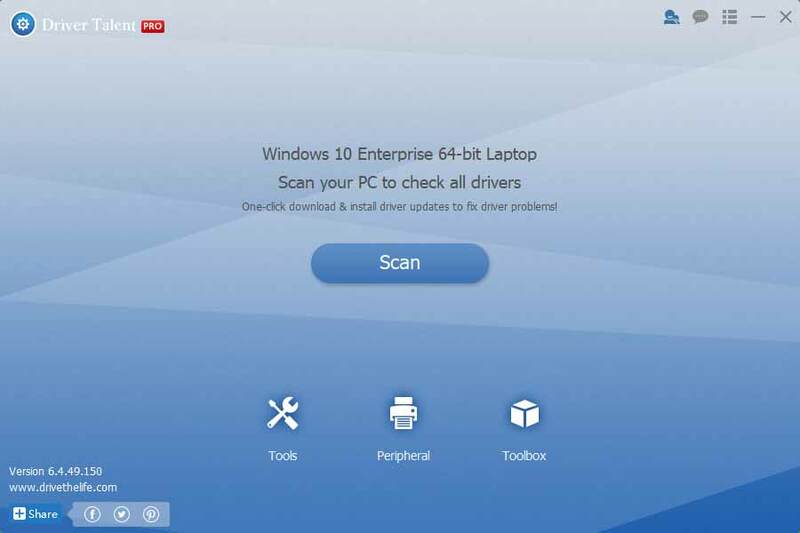 Step – 1: First of all, Download Driver Talent Software in your Computer and Install it. Step – 4: Then click the setup button. Driver Talent can automatically transfer and install the driver. Step – 5: Finally, Reboot the system to induce back the Realtek HD Audio Manager Drivers. That’s all. Hope your system turn back to normal and all your Audio Drivers start working as per the expectations. Special TIP: It’s suggested to create a system restore point or backup all the drivers with Driver Talent before you create any system changes on Windows 10. 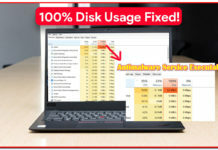 This may shield your Laptop/PC information and facilities to restore the system and therefore the drivers once the laptop runs into different problems. Hope this helps you to solve any problems on Realtek HD Manager for Windows.